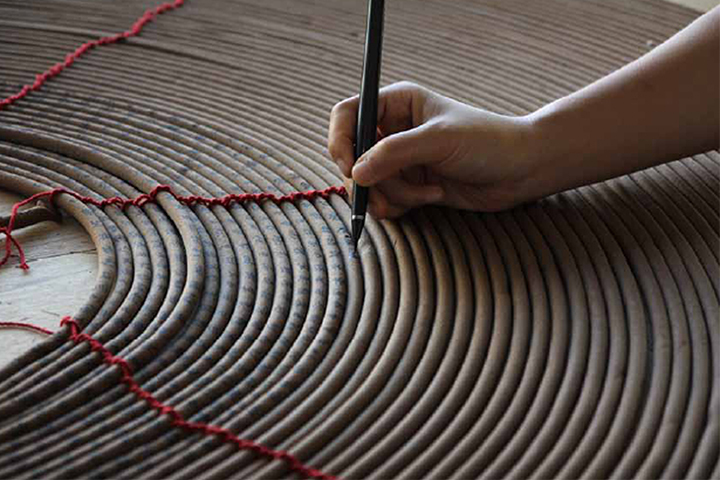 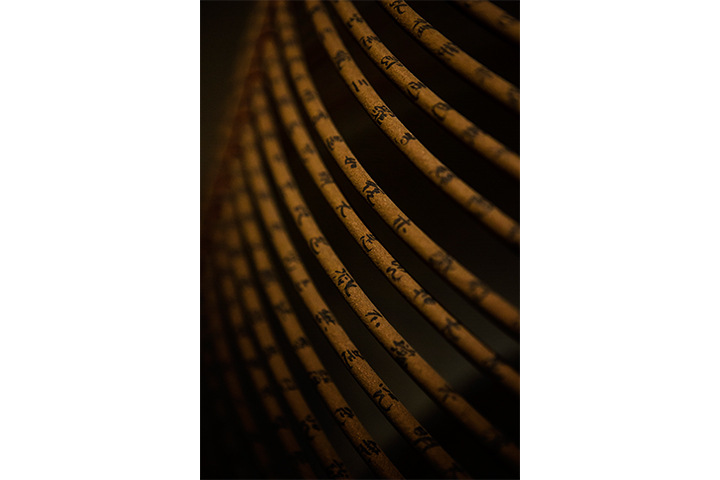 The Heart Sutra is inscribed on spiral incenses, commonly seen in traditional Buddhist temples in Asia. 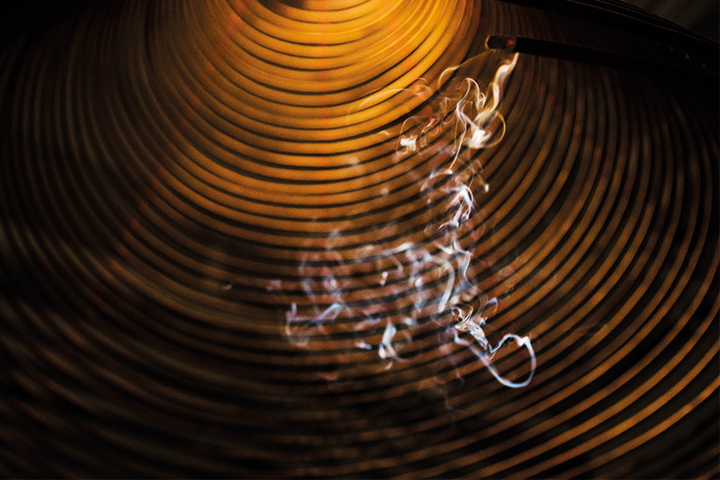 The incenses for this installation are custom-made by a family-owned incense factory, currently run by the third generation in Tainan, one of the oldest regions in the south of Taiwan. 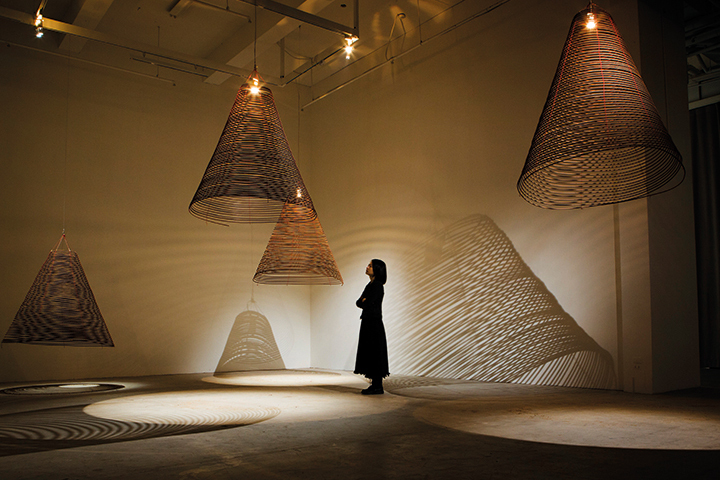 These scripted large spiral incenses are lit during the duration of the exhibition, and gradually transformed into smoke and ashes, manifesting the Buddhist concept of emptiness.